1 Timothy 6:14-16, "I charge you to keep this command without spot or blame until the appearing of our Lord Jesus Christ, which God will bring about in his own time—God, the blessed and only Ruler, the King of kings and Lord of lords, who alone is immortal and who lives in unapproachable light, whom no one has seen or can see. To him be honor and might forever. Amen." The absence of light is darkness. 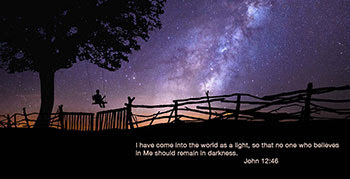 Can you imagine living in total darkness? Not only being unable to see light, but also being kept from feeling the warm rays of the sun. 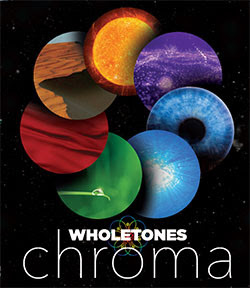 Friends, when I created Wholetones, it transformed my health. But when I discovered Jesus, He transformed my life. As with everything I share with you on a weekly basis, I openly share my life with you, because you are my friends. I only share things with you, whether Wholetones, supplements, or breakthrough products, that have made an impact in my life.